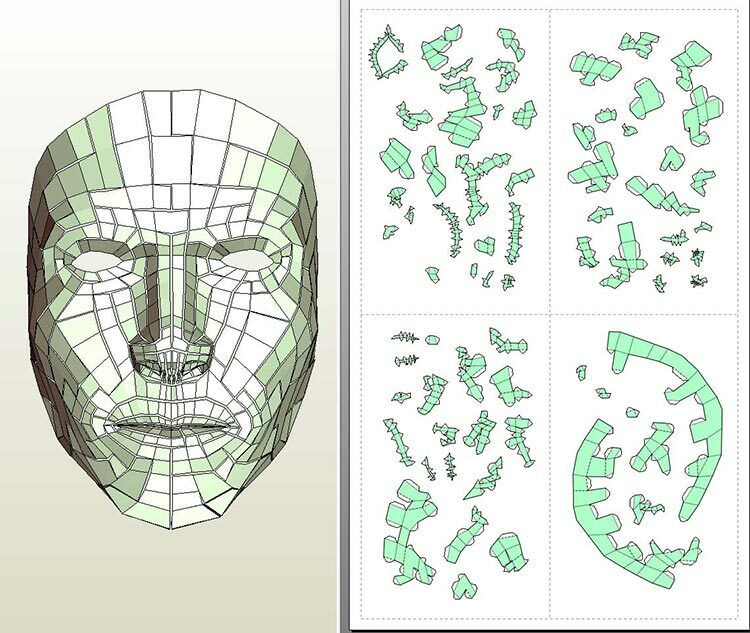 “Digital Mosaic Mask” – Assembly template. 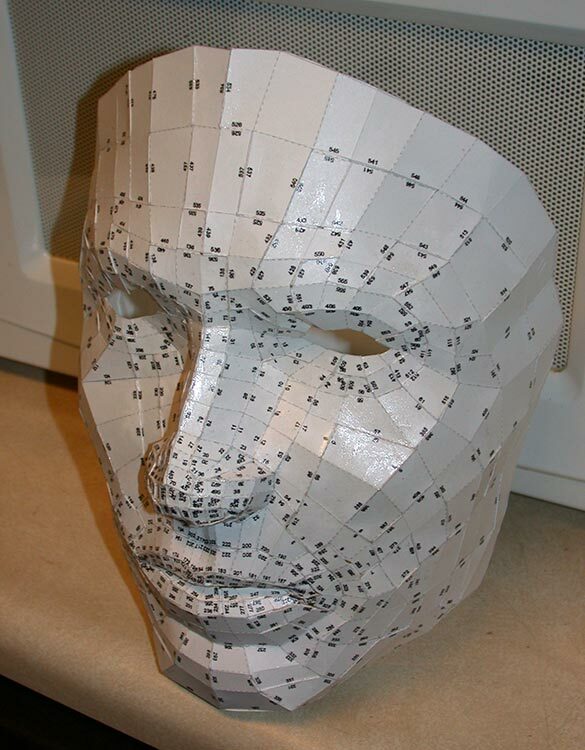 “Digital Mosaic Mask” – Assembled sculpture in paper. 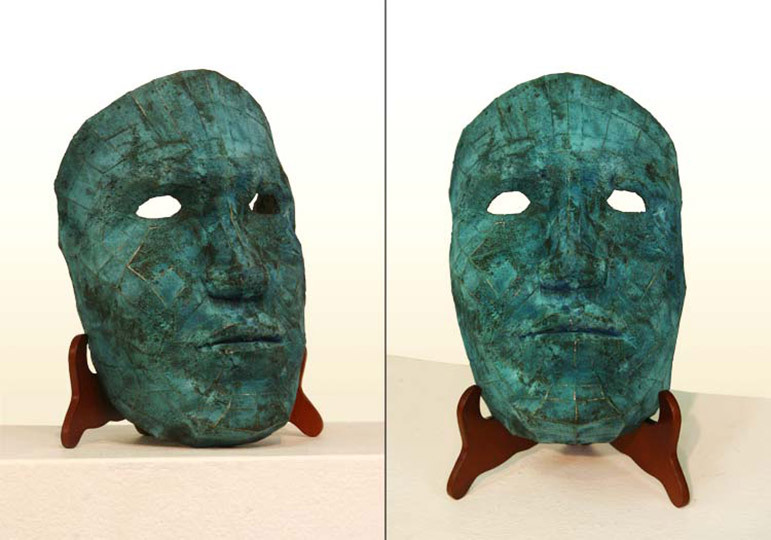 “Digital Mosaic Mask” – Sandblasted bronze casting. 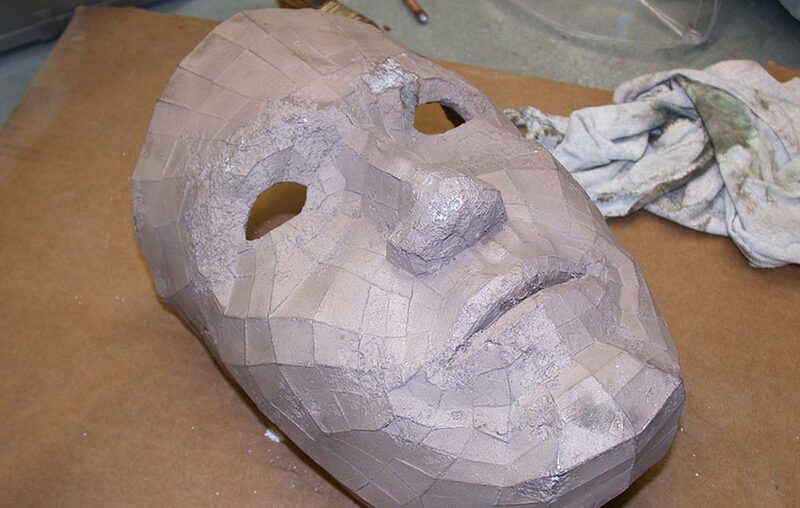 “Digital Mosaic Mask” – In process fume patina. 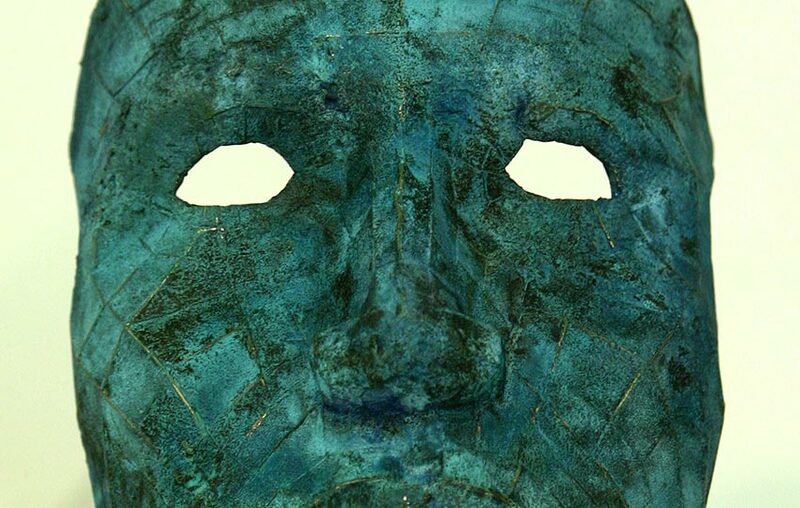 “Digital Mosaic Mask” – Final sculpture with patina. 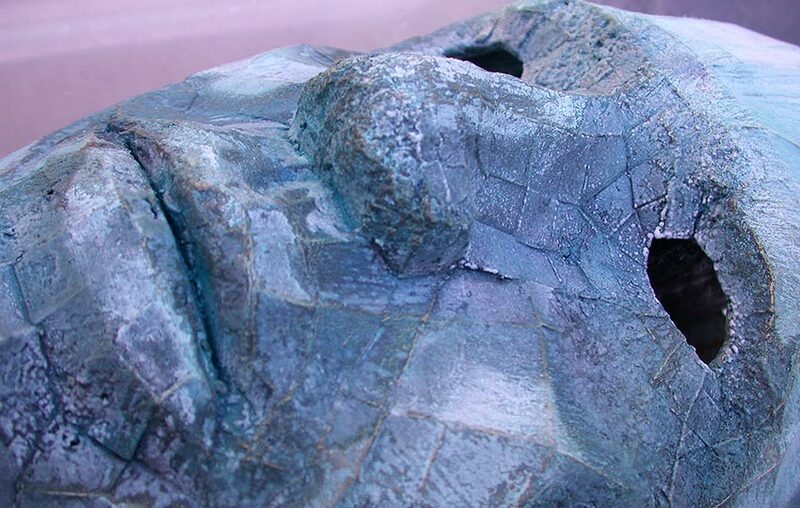 “Digital Mosaic Mask” – Detail of final sculpture. Cast bronze with NH4 and CH3COOH fume patinas. Slightly larger than life size. Not wearable. Crossover work from digital and paper originals.